In 2018, most marketing leaders in the industry feel that the Marketing and Sales technologies would converge dramatically. This convergence would enable marketers to better view and analyze the buyer’s decisions along the journeys. For a Sales Productivity And Contract Management platform, delivering personalization and relevant customer experiences are just as important as they are for any B2C marketing and online retail firm. 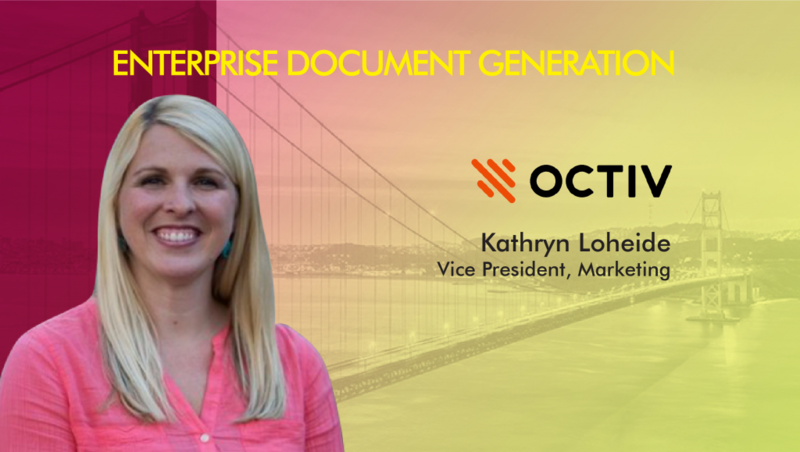 To understand how the leading Contract Management platform, Octiv, delivers a competitive playing field to enterprise customers, we spoke to their Vice President of Marketing, Kathryn Loheide. Tell us about your role at Octiv and the team and technology that you handle? 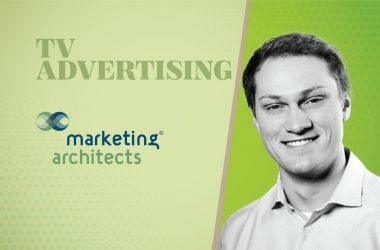 As the head of Octiv’s marketing organization, my vision shapes the direction of marketing efforts, providing leadership and innovative strategy to drive the business forward. 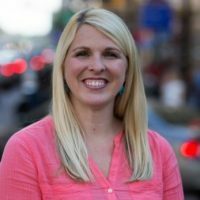 I oversee the Octiv brand, Demand Generation, Sales Development and Product Marketing. Our tech stack includes WordPress and WP Engine for our website and blog, Salesforce and Google Analytics for reporting and forecasting, Marketo for marketing automation and email marketing, Wistia and YouTube for video hosting, Buffer for social media management, Asana for project management and Slack for collaboration. What are the core tenets of your personalized document-generation engine? How do you provide a competitive playing field to enterprise customers? Digital-first, next-generation documents: We provide the most complete document generation platform, allowing sales and marketing to bypass traditional sales documentation methods with the help of automated workflows. Octiv provides sales teams with greater flexibility, control, and visibility of the sales process. Unparalleled integrations: Octiv partners with the world’s most powerful programs and systems so companies can seamlessly integrate their Octiv instance with their existing business systems to take action on their data, streamline processes and keep their records up-to-date. Unlimited storage and collaboration: With Octiv, teams can collaborate across the organization without the hassle of multiple versions, incorrect data, or inconsistent branding. The unlimited storage space in our searchable, cloud-based repository allows any member of an organization to find the most updated, branded version of a document. What aspects of Marketing and Sales technologies do you see converging in 2018? What tech tools would you recommend for truly unified marketing and sales document generation? As we advance further into the digital age, from a marketing and sales perspective, we’re discovering that this is the time of the connected customer. Technology has connected customers to the buying process in a way that prompts them to compare every buying experience they’ve ever had—meaning they’ll compare the experience you provide to more than just those of your competitors. This is why it’s crucial for your prospects and customers to have a consistent, exceptional experience throughout the entire buying experience. This means incorporating automation further down the sales funnel, all the way up until a deal is closed. This automation can be achieved through sales tech solutions that align sales and marketing teams, and help to provide customers with that consistent, easy experience. For the future of marketing and sales technology, powerful integrations will help to align teams and create more opportunities for automation in the sales funnel. Document generation software (like Octiv) integrates with CRMs, eSignature, CPQs, file storage, email systems and more in order to provide a seamless sales process, both for internal teams and prospects. Automation plays a key part, then, in every stage of the process, instead of just in the initial prospecting steps. 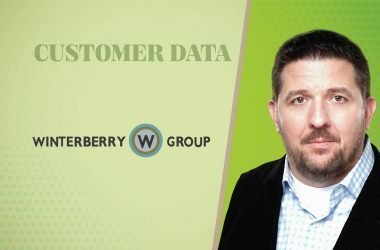 What are your predictions for demand-gen platforms and campaign performance tools in 2018? Where does document generation landscape fit into this ecosystem? We’re seeing automation becoming more important and prevalent further down the sales funnel and expect to see sales tech and tools, in 2018, to fall in line with this trend. Document generation software is a piece of this ecosystem that kind of links the other tech solutions together throughout the different stages of the sales process. For example, a sales rep can use Octiv to generate a sales proposal for a prospect, automatically filling in fields from that contact’s information in their CRM. Octiv also integrates with CPQ systems as wells as DocuSign, so deal-closing activity like filling in pricing information and quotes in contracts, and even the signing process itself can be automated. Engagement metrics are all recorded within Octiv as well, so sales teams can also keep track of best practices for document creating and sending. How can collaboration technologies remove inefficiencies in marketing and sales processes? What collaborative tools are best expected to deliver ROI for the modern global marketing teams? Collaboration tools remove inefficiencies in marketing and sales processes by allowing 24/7 communication and documenting outcomes for the entire team to see and refer back to. A tool like Slack allows for one to one or one to many communication and enables teams to chat from anywhere at any time. It also allows organizations to communicate more broadly and share documents without filling up the inbox. Since our team spends so much time in Slack, sharing files there and using it as an archive is working well for us too. An internal document collaboration tool like Google Documents also increases efficiencies by allowing team members to edit documents in real time from anywhere. With so many stakeholders across marketing and sales, this is crucial for alignment and efficiency. Using a project management tool is also helpful to collaborate on projects and keep people moving together. Working on creative projects often produce file types that need to be reviewed by multiple stakeholders in a timely manner and using a project management tool allows for that in one place. According to a report, nearly 27% marketers use at least 10 marketing tools for collaboration. Do you see this number growing by 2020? I don’t think so. Workers are becoming fatigued by so many different tools and marketing teams don’t have the capacity to maintain an endless number of operating systems. Knowing a little about many, many software products is frustrating and time consuming. I believe the market will continue to consolidate, we’ve been seeing it already in the marketing automation space with platforms like Salesforce Marketing Cloud, Oracle Marketing Cloud and Marketo. Thanks for chatting with us, Kathryn.